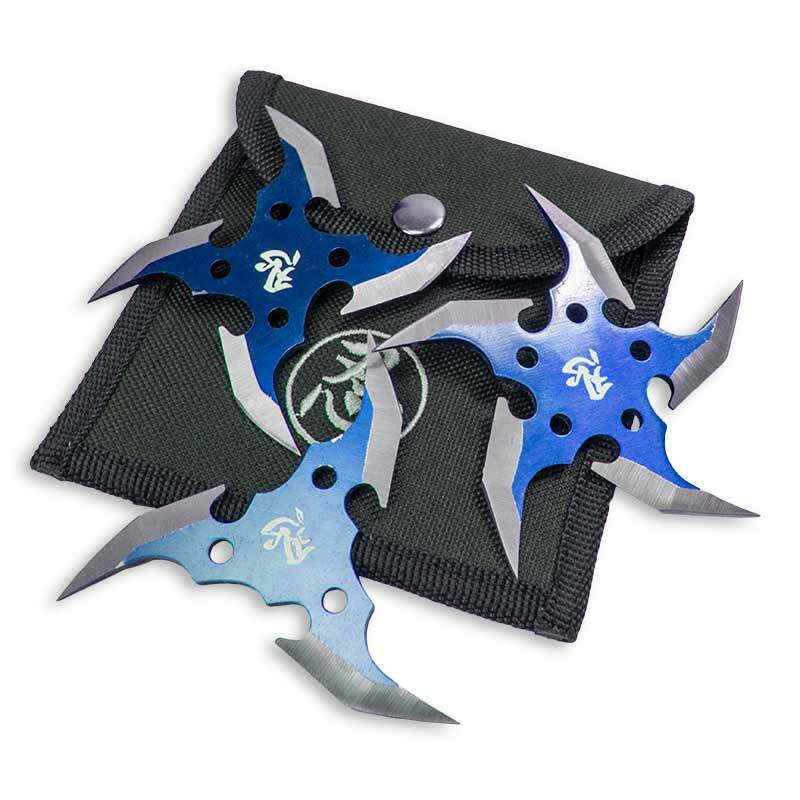 The future is bright and blue with the Futuristic Blue Shuriken Set. 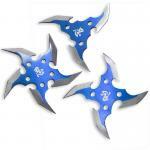 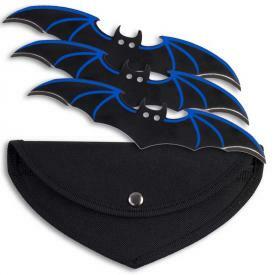 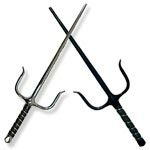 This set of three ninja stars is made out of stainless steel and each shuriken has razor sharp edges. 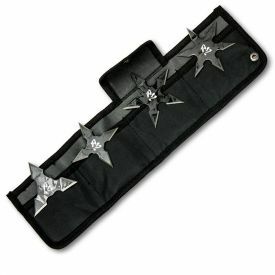 The number of edges is different for each throwing star. 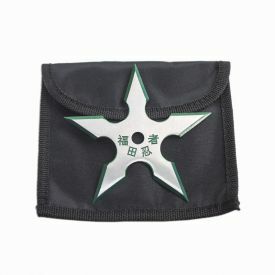 For example, the five point ninja star has five edges. 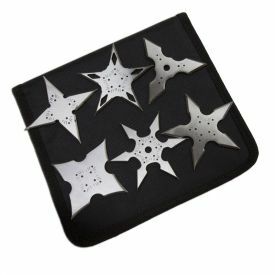 the 5-point ninja star also has five holes to keep the star light (weighing less than an ounce) and aerodynamic. 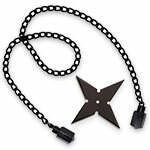 The number of edges changes with the three- and four-point ninja stars, which have three and four edges, respectively. 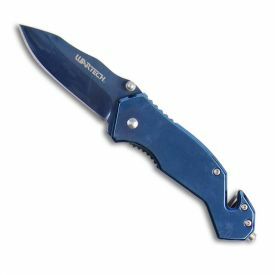 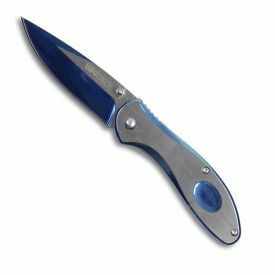 The three 1.5" throwing stars shine with an iridescent blue finish and has white kanji writing in the center. 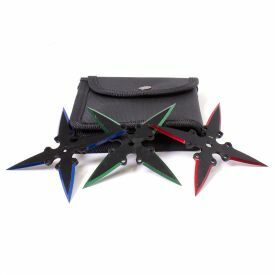 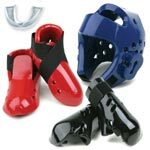 To help keep your stars secured when you're not using them, the set comes with a nylon pouch that even has a belt loop for you to carry with you.